First part of an extensive and thorough two-part interview with Professor of Biochemistry at Lehigh University, Dr. Michael Behe, on the following topics: youth and interest in science and the natural world; pivotal moments motivating his trajectory into the study of biology; root of differences with the biological community’s consensus; influence of William Paley and Natural Theology (1802); origins of ‘irreducible complexity‘; irreducible complexity from Behe (1996), The Challenge of Irreducible Complexity (2002), Irreducible Complexity: Obstacle to Darwinian Evolution (2004), and argument and evidence for the concept of irreducible complexity; Joplin’s and Shanks’s (1999) reply to irreducible complexity with redundant complexity and intelligent design theoretic responses; Professor Kenneth R. Miller’s argument against irreducible complexity from a 2002 article; mathematical probabilities for the limits to Darwinian evolution from Behe and Snoke (2004), Durrett’s and Schmidt’s (2008) response in an article entitled Waiting for Two Mutations: With Applications to Regulatory Sequence Evolution and the Limits of Darwinian Evolution, and the development of the debate; the article Intelligent Design as an Alternative Explanation for the Existence of Biomolecular Machines with three definitions of ‘evolution’ based on Ernst Mayer’s One Long Argument; and thoughts on the phrase ‘scientific materialism’. Key Words: biochemistry, Biology, Darwinian, Ernst Mayer, Evolution, Irreducible Complexity, Lehigh University, materialism, natural world, probabilities, Professor Michael Behe, redundant complexity, Science, Theology, William Paley. 1. How was your youth? What motivated an interest in science and the natural world? My childhood was very happy. I was born into a large Roman Catholic family, one of eight siblings. We were not well-to-do, but we had all we needed. All we kids went to Catholic grade school and high school, played sports, were involved in school clubs and such. I was taught Darwinian evolution in Catholic school. We were told that God could make life however He saw fit. So if He wanted to create the universe with laws sufficient to make life, who were we to say differently? That always sounded good to me, so I never gave much thought to the topic. It was only much later in life that I decided that Darwinism didn’t comport with the evidence. Ever since I was young I wanted to know how the world worked at its fundamental level, so that’s why I chose a career in science. I went on to study chemistry at Drexel University, got my Ph.D. in biochemistry at the University of Pennsylvania, did a postdoc studying Z-DNA at the National Institutes of Health, got an assistant professorship at Queens College in New York, and then three years later moved to Lehigh with my wife and our baby daughter (the first of our eventual nine children). 2. Do you recall pivotal moments motivating your trajectory into the study of biology? Drexel University, where I went for my undergraduate studies, offers what they call a “cooperative work-study” program. That means that students go to school for six months of the year, and then for the other six months they work in a job related to their field of study (which the university helps them secure). My first work-study job was at Holy Spirit Hospital near Harrisburg, where I worked running blood tests in the clinical lab. That’s where I discovered I didn’t want to be a doctor. My second work-study was at the Department of Agriculture Research Facility outside Philadelphia, where I assisted a Ph.D. in basic biochemical research (on milk proteins – this was after all a government agriculture facility). It was there I got hooked on biochemistry. I had taken a year of organic chemistry just prior to starting at the USDA, and was used to thinking of small organic chemicals of the size of benzene and derivatives, whose molecular weights are on the order of a few score to a few hundred. My boss mentioned casually that one protein we were studying had a molecular weight of a hundred thousand! I couldn’t imagine a molecule like that; it seemed fantastic to me. From then on I wanted to know how proteins worked in particular, and how life worked at the molecular level in general. 3. How did you find your early study and investigation into the discipline of biology? When did you begin to differ with consensus on core explanations for biological systems? For my graduate work in biochemistry at the University of Pennsylvania I joined the laboratory of Walter Englander, a protein chemist and later member of the National Academy of Sciences. Walter had helped to develop a technique called “hydrogen exchange”, which could probe the structure of macromolecules by examining how quickly they exchanged protons in solution with radioactive water. Everyone in the lab worked on the hydrogen exchange of normal adult hemoglobin — except me. My project involved sickle hemoglobin — the mutant version of hemoglobin that can lead to sickle cell disease. We came up with a really neat explanation for the extraordinary concentration dependence of the sickle hemoglobin gelation reaction, as well as its peculiar behavior in the presence of other hemoglobin variants. For my postdoctoral work I joined the lab of National Academy-member Gary Felsenfeld at the National Institutes of Health, supported by a Jane Coffin Childs Postdoctoral Fellowship. I switched from studying a protein to studying a new kind of DNA, called “Z-DNA”. Z-DNA has the opposite twist to the normal Watson-Crick double helical structure. It turned out some DNA could flip from the normal structure to the Z conformation and back again, depending on its environment. We discovered some interesting effects on the Z form of a chemical modification of DNA called methylation. I took this work with me to my first faculty job in the Department of Chemistry at Queens College in New York City and when I moved to Lehigh University three years later. I worked on various aspects of DNA structure and DNA-protein interactions for the next couple of decades. At no point was my lab research concerned with evolution. I had little interest in the topic until the late 1980’s when I read a book by the geneticist Michael Denton, called “Evolution: A Theory in Crisis”. Denton, who was an agnostic at the time, didn’t have any particular axe to grind; he was just sick and tired of hearing Darwinists claim so much for their theory when he saw many serious problems. I had no answers for Denton’s criticisms. I had never heard Darwinism criticized by a scientist at all until then, and here I was a tenured faculty member at a good university. I got very ticked off. I concluded that I had been led to accept Darwinism not because the evidence for it was compelling, but for sociological reasons — this is just the way we’re supposed to think these days. From that point on I became very interested in evolution. 4. Some of the oldest arguments from design in the ‘modern’ era come from the 19th century priest William Paley. In his book Natural Theology (1802), he provided an analogy of the watch and watchmaker to reason by analogy for the existence of a designer. For those not knowing the argument in full, how did William Paley argue for the existence of a designer? Did his work have any influence on your own? Paley wrote that if you see a watch resting in a meadow you know it was purposely made, that it had a designer, because when you examine it you can see how its parts are put together for a purpose. He then argued that nature is like that, too (its parts are put together for a purpose), so we can recognize the benevolent God behind nature. Paley had no influence on me for the simple reason that I had never heard of the man or read about him until years after I became interested in intelligent design. After reading him I saw that his famous example of the watch is exactly correct — anyone in his right mind would recognize the design of a watch on a heath. Unfortunately, Paley wasn’t rigorous in the development of his argument, bringing in many dubious examples from nature. What’s more, he extended it beyond a simple recognition of design to an argument for a loving, paternal God. Then all a critic had to do was to point to the fangs of rattlesnakes, say that no loving designer would make that, and sweep out the argument for design with the argument for benevolence. Paley overreached, He mixed a scientific argument for design with a theological one for God and for benevolence, and in the end got neither. 5. Furthermore, for those unfamiliar with your ideas, and in particular, what provided the original basis for the idea of ‘irreducible complexity’? Roughly, an irreducibly complex system is one that requires multiple parts to function, and the removal of a part causes the system to lose its function. A good example of this from our everyday world is a mechanical mousetrap, such as I discussed in Darwin’s Black Box. All of the mousetrap’s parts are involved in trapping mice, and if one of the parts is removed it can no longer do that. I was just sitting in my office in the early 90’s cogitating about the problems I saw for Darwin’s theory in the structure of biochemical systems. Biochemistry studies enormously complex systems. Okay, I thought to myself, why is that a problem? Well, I answered myself, in a lot of cases the systems require many parts, and without one or more of them it wouldn’t work. You can’t reduce it. It’s irreducible. When the word “irreducible” popped into my mind I knew I had captured the essence of the problem. In order to work at all, Darwin’s theory requires a pretty continuous, gradual evolutionary route. Irreducible complexity is a massive conceptual roadblock to that gradualism. 6. By some markers, you could fall under the category of the founder of modern intelligent design, especially with respect to the academic side through creation of one core idea from Behe (1996): irreducible complexity. You continued this same conversation from the 1996 book with The Challenge of Irreducible Complexity (2002) and Irreducible Complexity: Obstacle to Darwinian Evolution (2004). In it, you delve a bit further with the use of the same phrase ‘Black Box’, i.e. “a system whose inner workings are unknown.” How would you define it? Where does it gain experimental traction? What do you consider the strongest arguments for the idea? What about against it? Although most people think of a “black box” as the recorder on a plane that stores data in the event of a crash, in science the phrase means a system that does interesting things, but whose inner working are mysterious. They are mysterious because we can’t see into the black box. In my book I used the phrase “Darwin’s black box” to refer to the cell, because in Darwin’s day the inner workings of the cell were unknown. Most scientists thought the cell was a simple entity — a glob of protoplasm — essentially a microscopic piece of jelly. Now we know the exact opposite is true. The cell is an exceedingly complex, nanoscale factory whose sophistication we cannot match even in our technological age. It is filled with machines — literally, molecular machines. And just like machines in our everyday world (even ones so simple as a mousetrap) cellular machines need multiple parts to work. Thus they strongly resist evolutionary explanation by the gradual manner Darwin proposed. What’s more, their purposeful arrangement points insistently to design. Irreducible complexity is easy to experimentally demonstrate. Just knock out (destroy) a gene for a necessary part of the cellular system and see that the system no longer functions. That has been done for all the systems I described in Darwin’s Black Box and many more besides. These results are the strongest argument for – indeed a demonstration of — the concept. There is no experimental demonstration showing that random mutation and natural selection can build any such system. Rather, the most difficult opponent that the concept of irreducible complexity faces is the Just So Story. That is, Darwinists will invent superficial, plausible-sounding tales to account for the machines, much as Rudyard Kipling told children’s tales such as “how the tiger got its stripes”. Although not explaining the evolutionary development of machinery in anything like sufficient scientific detail, the plausible-sounding stories can impress laypeople and give those who don’t want to deal with design an excuse to declare victory and go back to sleep. The “victory” is hollow, of course – entirely rhetorical rather than scientific. But a surprising number of people are anxious to avoid the issue of design. 7. In particular, some research, for instance Joplin and Shanks (1999), replied to your early argument for irreducible complexity and proposed an alternate explanation called ‘Redundant Complexity’. In the section of their paper on genomics, a far more prominent field in this decade than at the time of publication, they focus on the experiments dealing with the ‘knockout’ of genes in Saccharomyces Cervisiae, a species of yeast,to create a less-complex yeast genome through removing, or ‘knocking out’, non-essential genes. How did the Joplin and Shank (1999) proposal of redundant complexity differ from irreducible complexity? What do you think of the alternate explanation of redundant complexity? Where do you see the status of intelligent design theoretic explanations of findings from the field of genomics? Briefly, Shanks and Joplin’s proposal of “redundant complexity” was that there are so many kinds of active biochemical factors, such as proteins in the cell, that if one is removed then another kind can almost certainly take its place. Their simple mistake was in assuming that, because some biochemical systems are redundant, that all biochemical systems must be redundant. That of course is not true. Although some genes can be knocked out and a function taken over by another system (mostly in metabolic pathways), many others can’t. Tellingly, in their article Shanks and Joplin did not discuss any of the irreducible biochemical systems I wrote about in Darwin’s Black Box. Genomics is advancing at a breakneck pace these days, and it’s premature to reach definite conclusions. Nonetheless, genomics has the potential to strongly support intelligent design. The reason is that investigators are finding layers of sophisticated controls — strongly reminiscent of the structures and controls found in complex computer software — in the genome that no one suspected existed way back in 1996 when I wrote my book. 8. 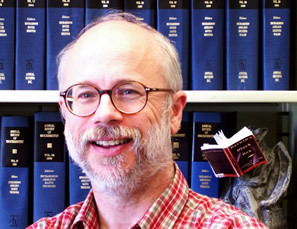 Dr. Kenneth R. Miller (2002), professor of biochemistry at Brown University, published an article stating, “In the final analysis, the biochemical hypothesis of intelligent design fails not because the scientific community is closed to it but rather for the most basic of reasons–because it is overwhelmingly contradicted by the scientific evidence.” What do you consider the strengths and weaknesses of the counter-argument of Dr. Miller contained, in brief, within the 2002 article – and some of his arguments more generally? Where does this debate stand in the literature at the moment? What about the general public? I don’t want to sound harsh, but I consider Ken Miller’s writings to be exercises in damage control rather than a serious attempt to engage the issues. It’s silly to say that the scientific community (as a whole – there are some exceptions) is not closed to intelligent design when a coordinated campaign was undertaken by scientific societies to declare design to be unscientific and therefore not needing scientific rebuttal. It’s hard to pretend that Darwinists are simply evaluating it solely on its scientific merits when some science magazines actually warned that Western civilization itself would be destroyed – thrown into a new “Dark Ages” — if ID were to prevail. It’s also silly to say that design is contradicted by the evidence when some Darwinists don’t recognize that experimental results are the opposite of what they had thought ( http://www.discovery.org/a/442 ), or when prominent researchers publish evolutionary “explanations” for molecular machines that are quickly rejected by other workers (http://www.evolutionnews.org/2007/04/darwinism_gone_wild_neither_se003517.html ), or when the best, longest, most closely-studied laboratory evolution experiment shows beneficial mutations involve mostly the degradation of pre-existing genes and see not a glimmer of evolutionary processes building any new molecular machinery of the type that fills the cell (http://www.evolutionnews.org/2007/04/darwinism_gone_wild_neither_se003517.html). 9. In some academic research over mathematical probabilities based on populations beginning with your work arguing for the mathematical limits to Darwinian evolution – in Behe and Snoke from 2004, subsequently, Durrett and Schmidt replied to this argument in a 2008 article, Waiting for Two Mutations: With Applications to Regulatory Sequence Evolution and the Limits of Darwinian Evolution. More articles were published concerning the argument-counterargument and further publications in that form. From the start, what did you consider the mathematical limits of Darwinian evolution? How did the debate develop? At present, what do you think of the mathematical probabilities for Darwinian evolution? The basic problem is that Darwin’s theory of evolution is a gradual one – life is postulated to improve slowly, in tiny steps, over long periods of time. Yet a profound discovery of 20th century science is that the information for life is digital, written in the code of DNA. Among other things, that means that at bottom there is no “gradualism”. Rather, there are fundamental “quanta” of mutation, such as the replacement of one nucleotide in DNA by another. You can’t replace half of a nucleotide, or a quarter of a nucleotide, or a millionth of a nucleotide. You have to replace one (or more) nucleotides at a time. How likely is it that a given nucleotide could be mutated if it would give an organism some beneficial effect? That depends on several physical, empirical factors: the number of nucleotides in the organism; the mutation rate; and the generation time. That’s relatively easy to calculate and has been confirmed experimentally for a number of kinds of organisms. It’s reasonably do-able in evolutionary time. Now here’s the controversial, difficult problem for Darwinism: what if some beneficial effect for an organism requires more than one mutation? What if, to secure the improvement, two separate nucleotides have to be changed? Or three? Or more? It turns out that as the number of separate mutations that are required for a beneficial effect increases, the improbability of its occurrence (or, looked at another way, the time expected to achieve it) increases exponentially and soon becomes prohibitive. This is also where irreducible complexity rears its ugly head. To get an irreducible biochemical feature it would seem that multiple mutations would have to occur before a selectable effect arrived, making it very, very improbable. My paper with David Snoke simply quantified this problem for some simple cases. Simple and obvious as it was, the paper set off a firestorm at the poor journal that published it – the editor was quickly inundated with angry letters. They then published a response to our paper within months (an extraordinary step for a journal) as well as a response to it by us. People interested in the topic can look it up. Suffice it to say here that the response missed the point. And so did the article by Durrett and Schmidt. I have to admit that I find it frustrating that the topic is so emotional that even modest discussion of obvious problems for Darwinism invariably provokes angry, defensive reactions. My current thinking is that the limits to Darwinian evolution are much more severe than I had envisioned in 1996, and even more severe than I discussed in my 2007 book, The Edge of Evolution. Random mutation and natural selection sometimes produce simple beneficial results for an organism, but usually by degrading some genetic feature the organism already had. Darwin’s mechanism cannot coordinate the many changes necessary to build even modestly complex systems. 10. In some of the discussion with intelligent design v. evolution v. creationism, much confusion arises over the term ‘evolution’, in the article Intelligent Design as an Alternative Explanation for the Existence of Biomolecular Machines, you define three conceptions of the term ‘evolution’, “Change over time, common descent, and Darwinian natural selection.” You take this from the book One Long Argument by Ernst Mayer (1991). For those not considering distinct, or even different, definitions of the term ‘evolution’, how would you define each of these sub-phrases for the super-term ‘evolution’? What one features more prominently in the public debate? What one features more prominently in the academic debate? It’s important to realize that theories can be mixtures of logically separate ideas, some of which can be true and some false. If that’s the case, then each logically-separate idea has to be tested on its own. It turns out, as the great evolutionary biologist Ernst Mayr noted, that Darwin’s theory is a mix of a handful of ideas. The three most important concepts in Darwin’s theory are those of change over time, common descent, and natural selection acting on random variation. Intelligent design is concerned exclusively with the third concept (especially random variation); it has no proper quarrel with the first two. Change over time – for example, that there were once dinosaurs and now there aren’t – is noncontroversial; everyone agrees with it. Common descent is more controversial, but is in itself not an explanation for how organisms might have arisen or changed over time. For my money, 99% of scientific and philosophical interest is packed into the third concept of Darwin’s theory, natural selection acting on random mutation. Darwin’s claim to fame was not to have proposed that modern animals descended from ancient ones. (Earlier scientists had proposed this before Darwin.) Rather, his impact was to have putatively identified an entirely unintelligent mechanism that could mimic the effects of purposeful design. That has always been, and remains, the most doubtful part of his theory. We currently have good evidence for change over time and common descent, but evidence for the constructive power of Darwin’s mechanism is meager to nonexistent at best, and strongly contradictory at worst. 11. You have brought to bear the idea of ‘scientific materialism’. How would you define this phrase? Do you consider scientific materialism pervasive? What do you consider the strongest set of evidence and argument for pervasive scientific materialism? What do others with differing views consider the case? Well, I’m not sure I myself have ever used the phrase “scientific materialism,” although other ID proponents have used it. I would define it either as the idea that the only thing that exists is matter and energy, or as the idea that science can properly study only matter and energy. Those two senses frequently get conflated by people who hold that the only things we can know for sure, or publicly argue for, are things that science studies. And that often transmogrifies into the (often unstated) conclusion that nothing else exists. I myself think that the contention is false: science can study the results of the action of a mind, and does so frequently in disciplines such as cryptography, archeology, and forensic science. It’s important to notice that scientific materialism is not itself science; rather it is philosophy. Ironically and self-contradictorily, then, the claim by some people that science tells us all we can know is not itself a scientific claim. This view – scientific materialism – is certainly widespread in academia, not only in the sciences but, strangely enough, also in the humanities. It is much less widespread in the population at large, although it has strongholds in law and journalism. In my estimation scientific materialism is most easily seen in those familiar stories speculating why this or that human mental trait evolved – lust, anger, fidelity, friendship, and so on ad nauseam. It seems academically disreputable to take humans as responsible moral agents. Rather, we are often portrayed as the hapless product of evolutionary winds blowing where they will. It seems to me that proponents of scientific materialism rarely argue for it explicitly. Rather, they simply assume it, and treat other views as gauche at best, seditious at worst. It should go without saying that the actual evidence for the power of natural processes to mold minds as the materialists claim is nonexistent, yet that seems to give few of them pause.